Captivating plastic beads are ideal for your all types of styling and DIY jewelry projects. With the best quality plastic, these beads are lightweight and give the best shine. You do not have to worry about buying them in bulks because these are extremely economical when buying in large quantities. Round shiny plastic beads are available in packs of 2 cups (approximately 58 beads per packet) to ensure you make the best style out of each plastic bead. 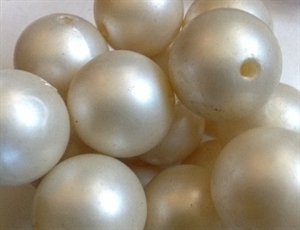 Beads are available in loose form and not in a string to be made use of for various purposes.